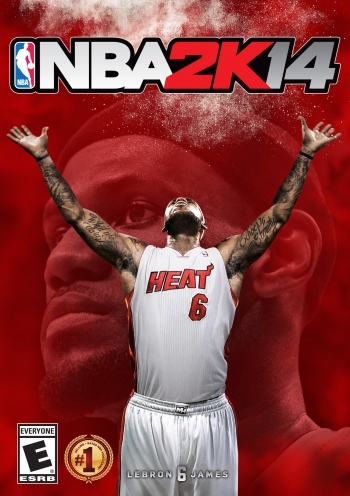 NBA 2K14, according to NPD data, is the first time an NBA title has topped the charts at the start of a generation. Sports games don't always get the same attention as FPS or RPG titles in Game of the Year season, but they remain incredibly popular nonetheless. For proof, look no farther than NBA 2K14. According to NPD data, the game is doing exceedingly well across platforms, even sitting at #4 for overall PS4 and Xbox One sales. Not only does this make NBA 2K14 the best-selling sports game of each new console, it's also the first time an NBA game topped the charts for a new generation. Core gamers often dismiss sports games as $60 roster updates, but even within a sports framework, NBA 2K14 tried to stand out. The game uses audio recordings and head-scanning technology to take advantage of the new generation with a more authentic experience. There's even welcome gameplay variations like "My Career" mode, where customized athletes participate in interviews and carry out conversations with in-game NPCs. Combined with nice touches like the game's response to player cussing, there's enough to help the game stand out from others in the genre. Whether other sports series follow suit will remain to be seen.